1. 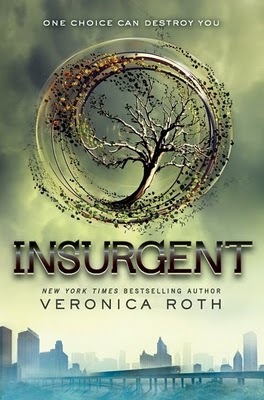 I received Veronica Roth’s book Insurgent wirelessly into my phone on May 1st. I was going to wait, really, I was, but I couldn’t. I started reading at 5ish in the morning and, by the evening, I had finished the book. I had read the first book in her trilogy, Divergent, last year and was hooked on her story. It is similar to The Hunger Games in several ways, but, as much as I hate to admit it because I loved The Hunger Games, Divergent was better I think. So when I received Insurgent, I was hooked. Much of what I liked in the first book was there (the characters, the plot line, the world, the factions, and of course, the love story), but there was more action, the characters were developed further, and secrets were revealed. Now I have to wait until she finishes book 3, which I think is rumored to come out some time at the end of next year. *gasp* I have to wait a whole year! I’ve never gotten hooked on a book so early on. The HP series was almost all out when I started reading them, and The Hunger Games trilogy was also all out when I first read book 1. This will be very interesting indeed. 2. I submitted my writing sample and application for the Novel Writing IV course at UCLA Writer’s Extension Program with Lynn Hightower. I am super excited and psyched about taking that class as I’m hoping it will get me closer to my end goal: completing a polished draft of my novel by the end of the summer. Now I wait (have I mentioned how much I dislike waiting…?) and cross my fingers. I should hear back some time around June 14 whether or not I got in. 3. I also submitted the first chapter of my novel for a manuscript consultation at the SCBWI Florida Summer Workshop 2012 this June. I’m scheduled for the Novel workshops and have requested a manuscript consultation. I’m hoping to take away as much, if not more, as I did this past January at the Miami Conference. I’m nervous and excited about this. I’ve had manuscript consultations before (twice on my memoir and twice with great feedback), but this will be the first YA manuscript consultation. 4. 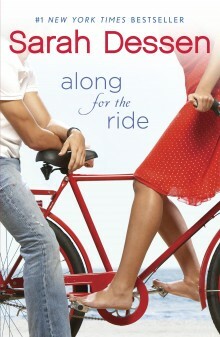 I’m listening to an audio book: Sarah Dessen’s Along for the Ride, a contemporary YA novel. I know audio books aren’t knew, but it’s the first time I’ve ever listened to one! It was weird at first. I didn’t like listening to the book. But after a while, I got into it. I’m in chapter 5, I think. I’ve downloaded it to my iPhone so I can take it with me to waiting rooms and such. 5. Next Monday, I’m having my gallbladder removed. I’m a little nervous but more anxious to start feeling better. I’m tired of the nausea and pain and the inability to freaking eat. It’s gotten to the point where even the bland stuff I don’t tolerate. So while I’m not keen on losing yet another body part (lost my appendix when I was 9), I am looking forward to feeling better. It should be a quick and easy surgery and I hear the recovery time is minimal (barring any complications, of course). I’m also looking forward to some R&R and being pampered.